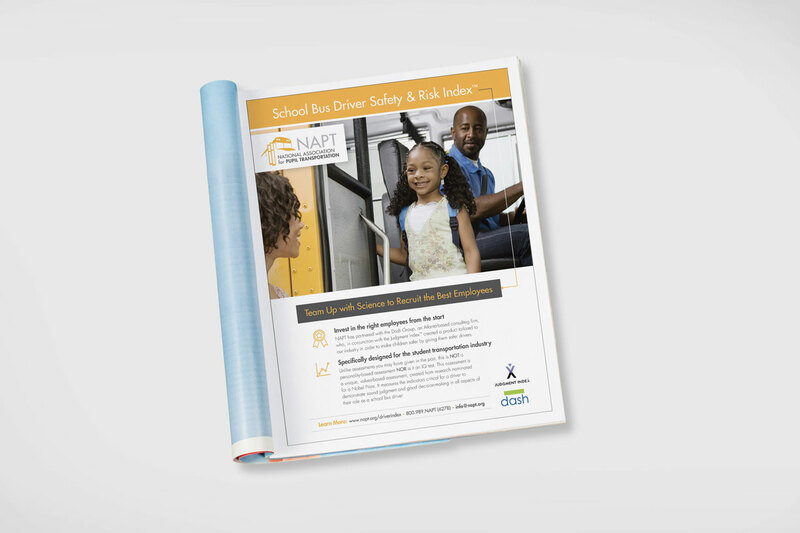 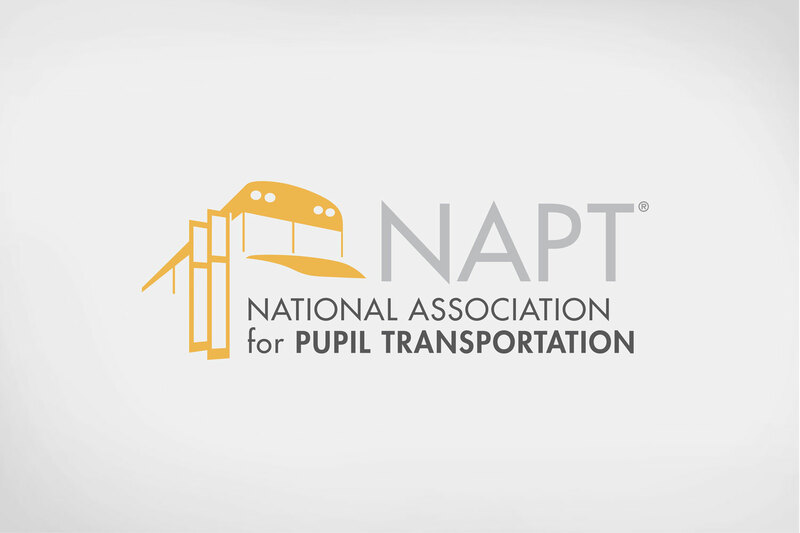 NAPT’s vision is to be first and foremost in leading, supporting, and developing world-class professionals who provide safe and efficient pupil transportation. 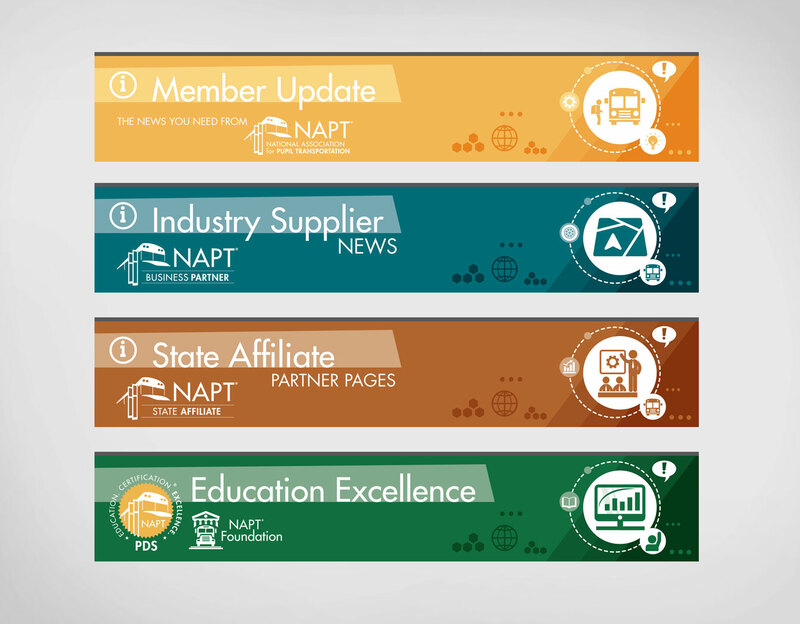 To achieve this vision, they wanted to evolve their brand and reaffirm their position as the leading trade organization within their industry. 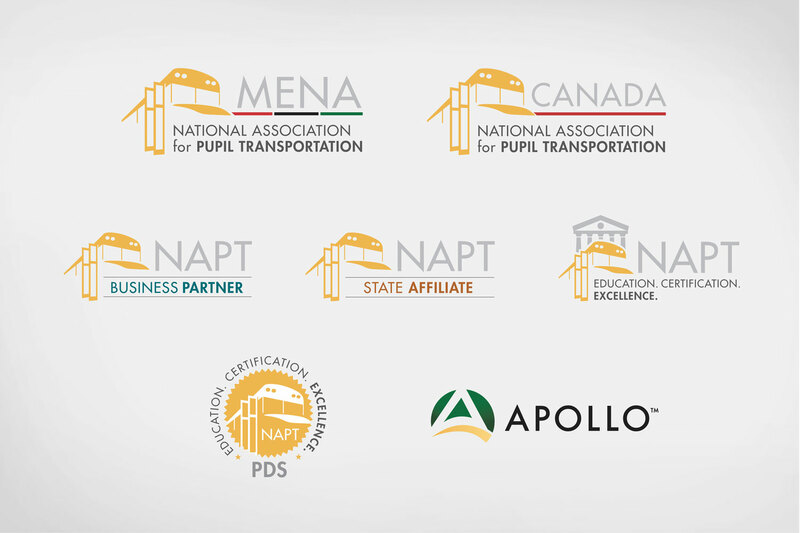 A master logo and suite of supporting logos, bold advertising, and marketing pieces with clean, modern design work together to reflect their core values and innovative approach to providing education and developing new technologies.